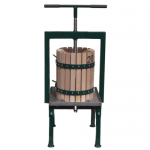 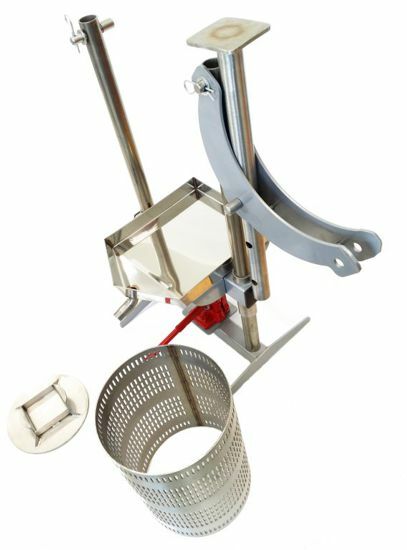 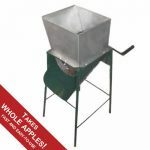 Can the traditional fruit press be improved? 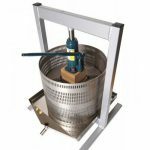 This modern Czech-made hydraulic press has been designed for ease of use and efficiency. 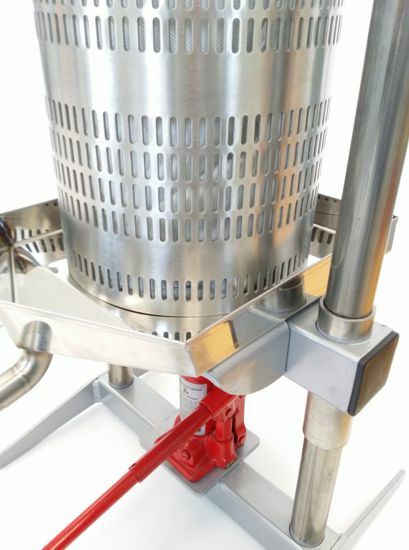 The jack goes under the juice tray and for a minimum of effort you can exert 2 tons of pressure. 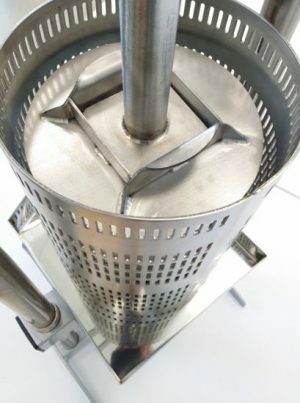 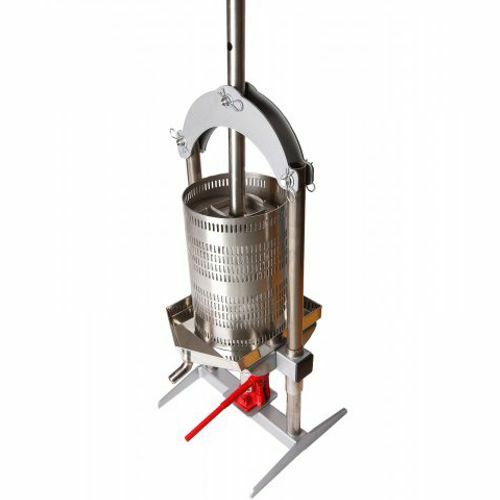 The stainless steel basket and tray make this suitable for intensive or frequent use, as wooden parts needs to be dried after use to avoid expansion problems. 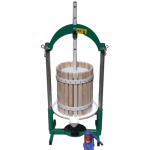 Robust and hardwaring, this equipment achieves excellent yield for minimum effort.